Good news, but ... Rising retail sales is an indisputably good thing. 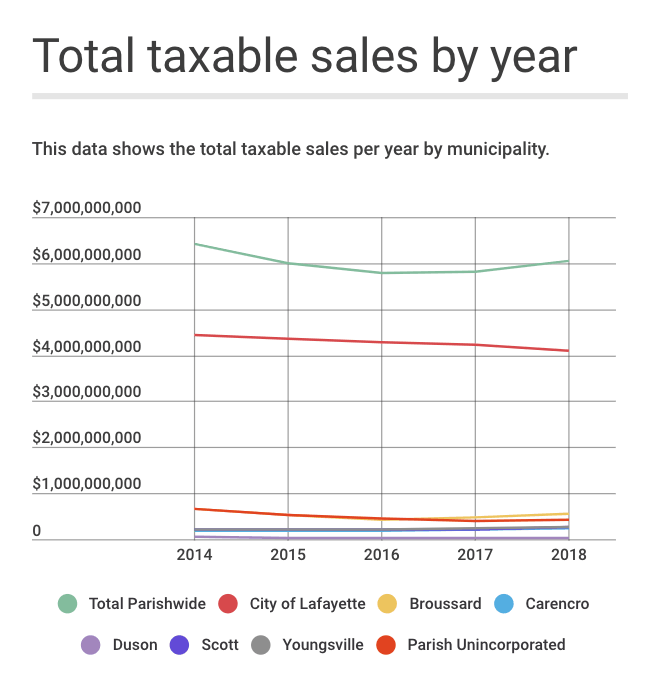 But Lafayette still has a ways to grow to recover lost ground. So while we celebrate finally getting some good economic news, let’s not forget that this just suggests the bleeding has stopped. There is still a lot of healing left to do.